Post PC Device. 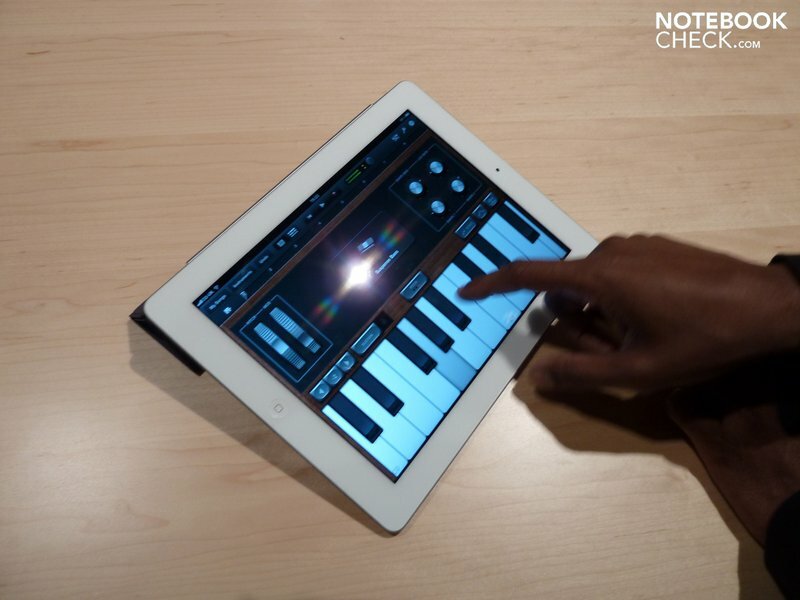 After months of rumors, leaks, and various other tidbits, the iPad 2 is finally a reality. At a press event in San Francisco, Steve Jobs himself was on stage to announce Apple’s latest device. 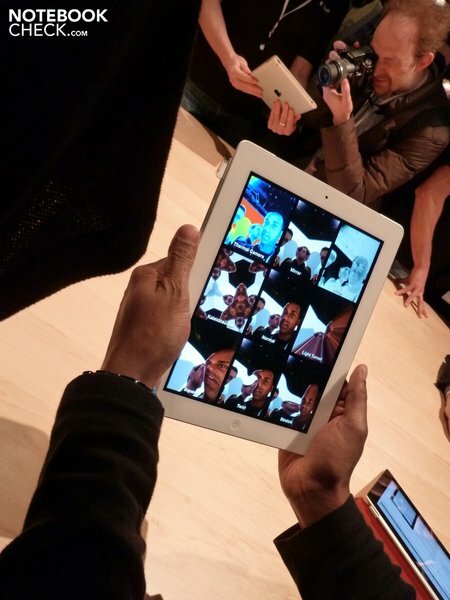 While we weren’t in attendance in California, Apple had a simultaneous live event at the BBC headquarters in London and we were able to get hands on look at the new iPad 2. 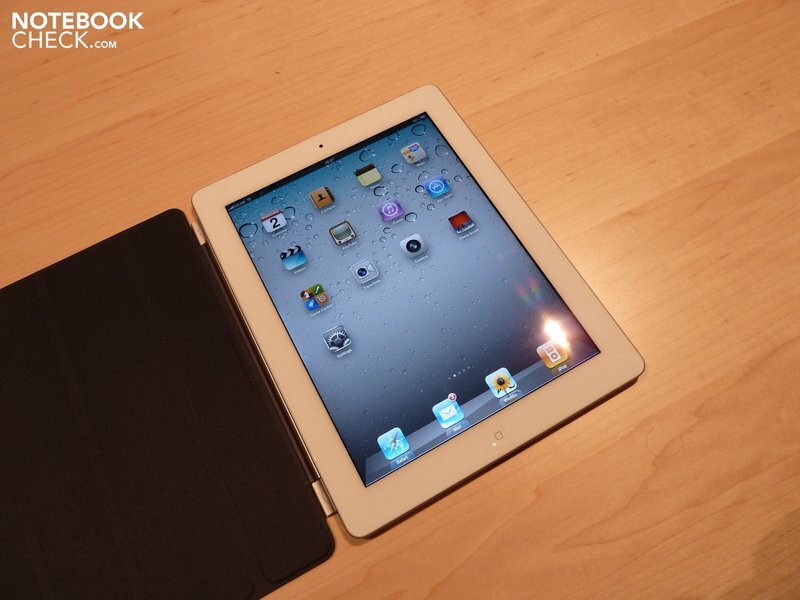 Apple has always been known for making some attractive devices and the iPad 2 is no ugly duckling. 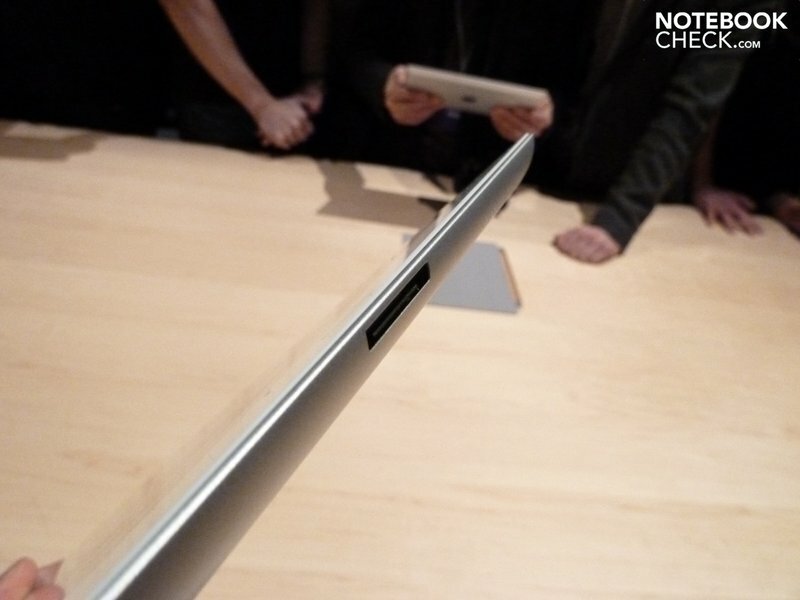 The engineers over at Cupertino managed to shrink the iPad’s thickness to just 8.8 millimeters, more than 4 millimeters thinner than the iPad 1. 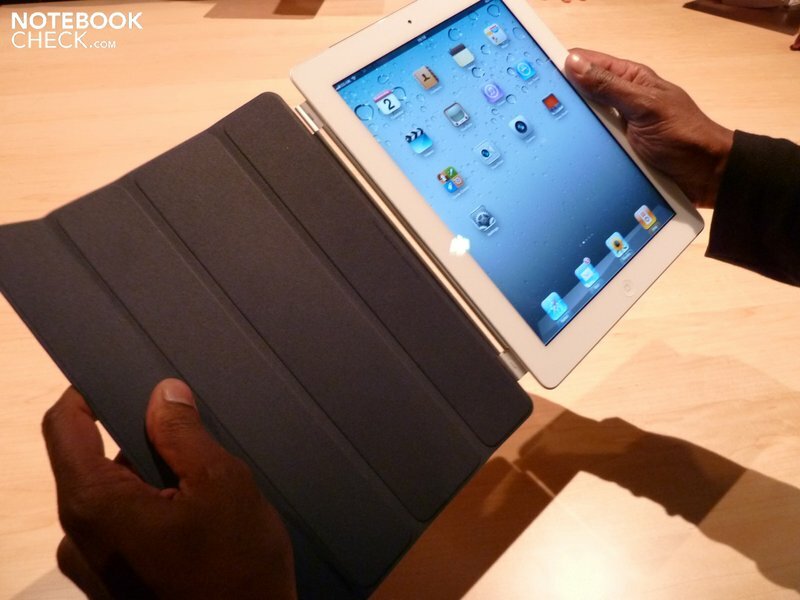 Apple also managed to make the iPad 2 lighter than the iPad 1 and the combination of weight and size make the iPad 2 a pleasure to hold. 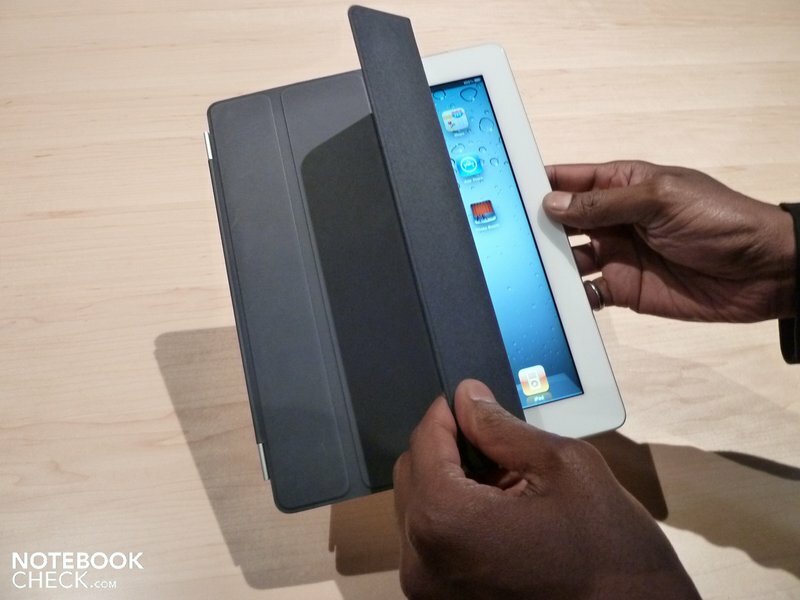 In our experience with the device, it fit well in the palm of our hands and users shouldn’t be plagued with the same hand fatigue that affected the original iPad users. As for the display, contrary to earlier rumors, Apple is sticking with the same IPS displays found in the original iPad. Not that that’s a bad thing, as the 9.7”display has excellent brightness and the crisp colors and almost unlimited viewing angles are delightful to look at. 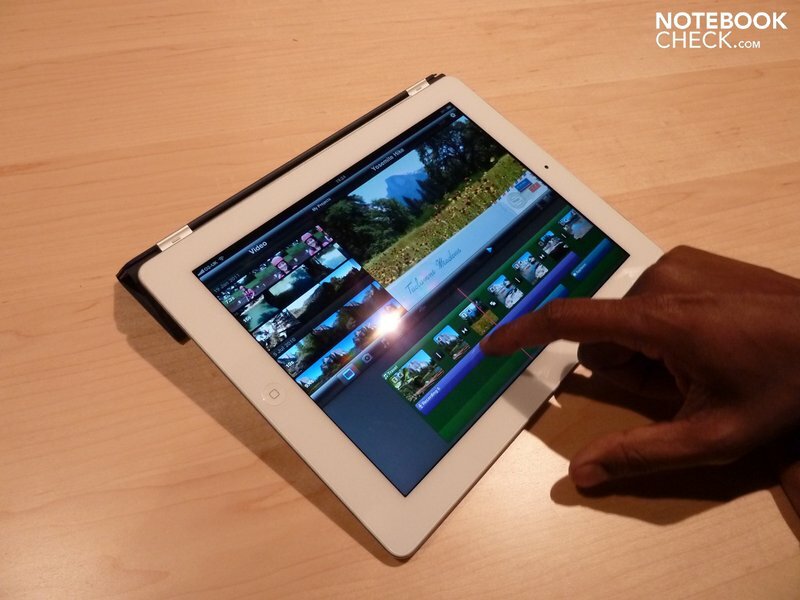 While we would have welcomed a higher resolution screen, we’re quite content with the display. Another feature that Apple has added to the new iPad is the ability to choose the function of the switch on the left-hand side. Users will be able to choose if the switch functions as a lock for the screen’s rotation feature or if acts as a volume on/off button. This is a pretty useful feature in our books and it should be available wheniOS 4.3 comes out. 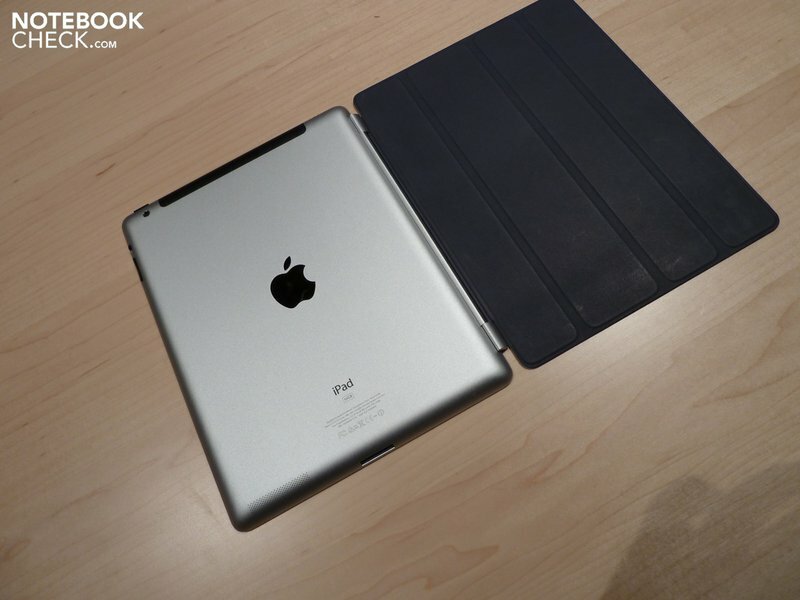 Now while some leaked pictures made the iPad 2 look a bit unsightly, in person the new iPad is extremely elegant and in our opinion is more beautiful than the original iPad. 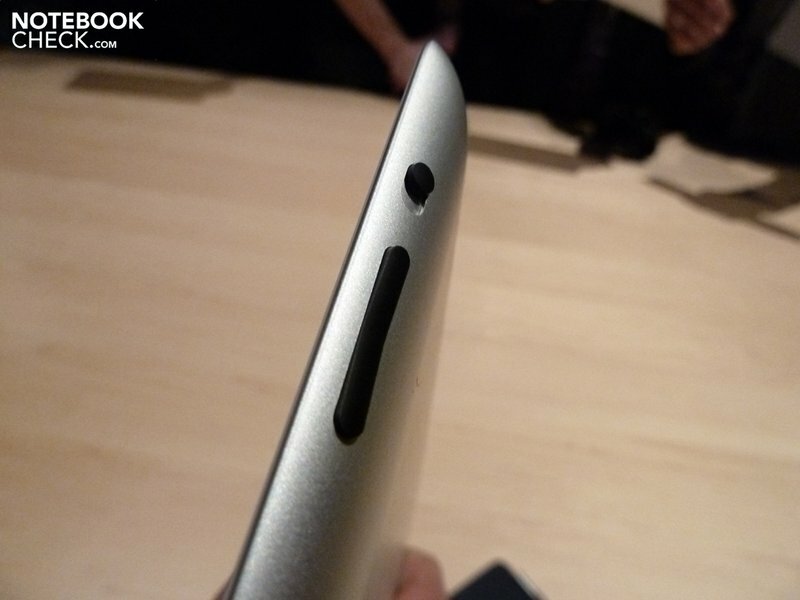 The thinner body and the lighter weight really add to a solid product. 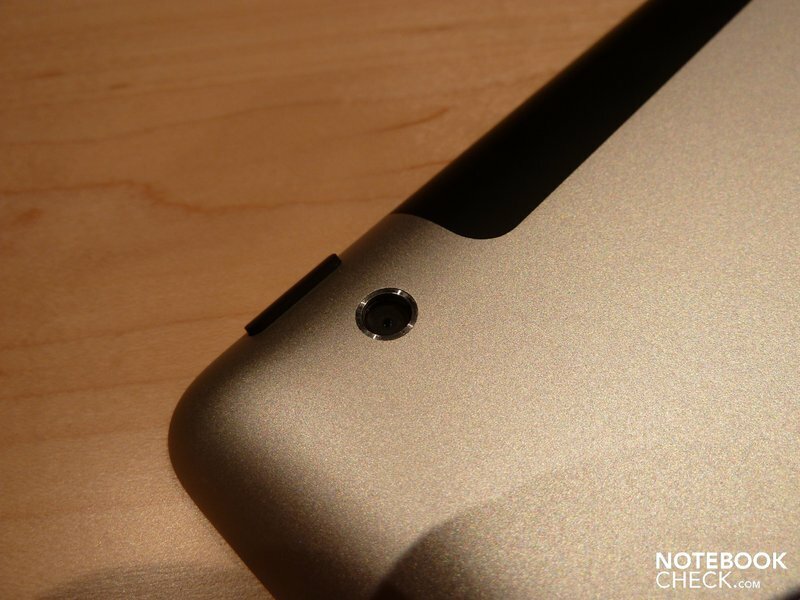 Of course the most important thing about a tablet is the power under the hood, and the iPad 2 is definitely no slouch. 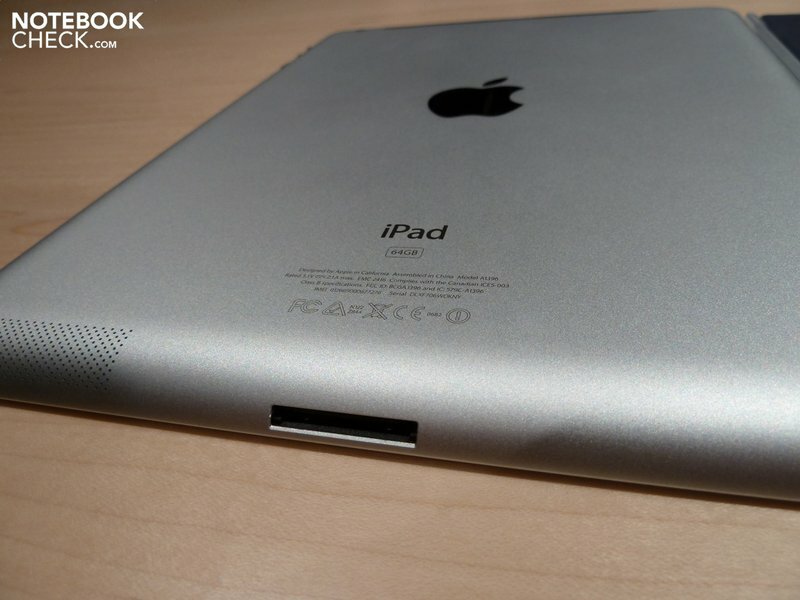 The iPad 2 includes Apple’s dual-core 1 GHz A5 processor; a capable processor that promises twice the CPU speed and 9 times the graphics performance as the original iPad. 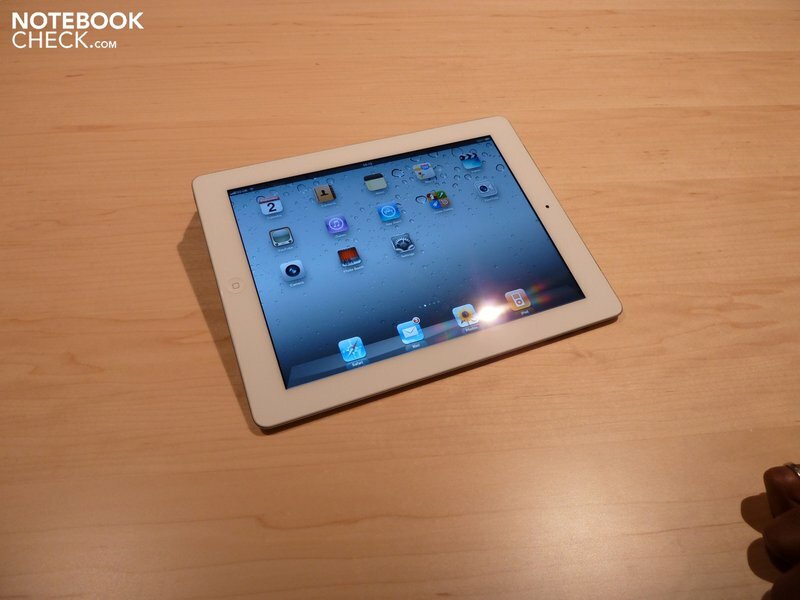 Other than that, the iPad 2 should include the same 16/32/64GB choices, Wi-Fi, Bluetooth and optional 3G. 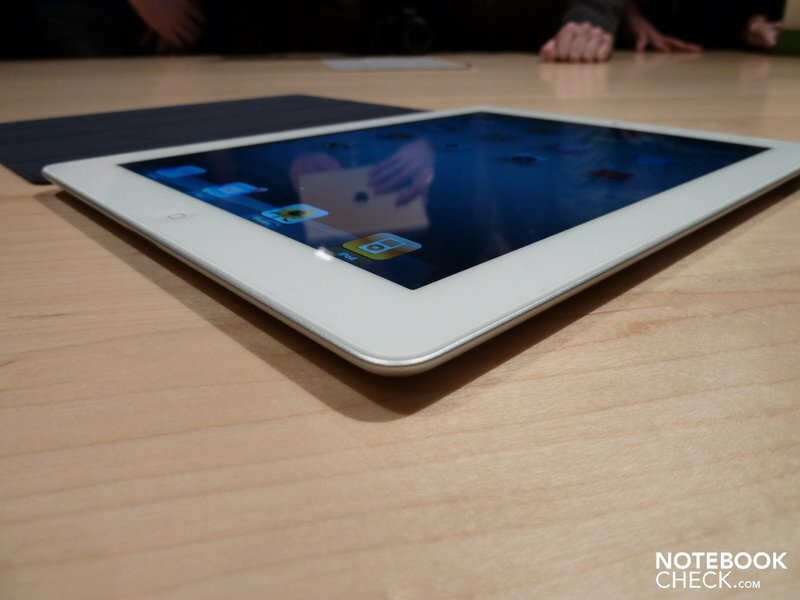 Even though the original iPad didn’t have many performance problems, it could stutter a bit when faced with demanding webpages and intense 3D graphics. Thankfully, the iPad 2 doesn’t appear to have any of those problems and was very fast in taking care of Apple’s latest iMovie app. One thing we did notice was that the new iPad was slightly warm to the touch; however, that could be due to the high amount of use it’s been undergoing by the many parties present. 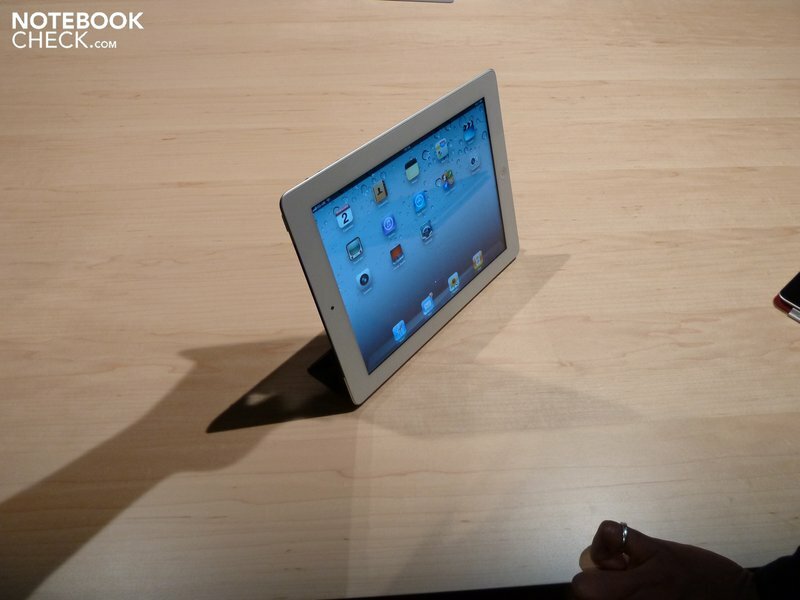 Another thing that Apple added to the new iPad is a bigger and supposedly higher quality speaker. While the volume was quite loud, we were unable to test the clarity of the sound due to the commotion in the conference room. As far as battery life goes, there are no official tests on runtime as of yet; however, Apple is promising the same 10 hour battery life as the original iPad. 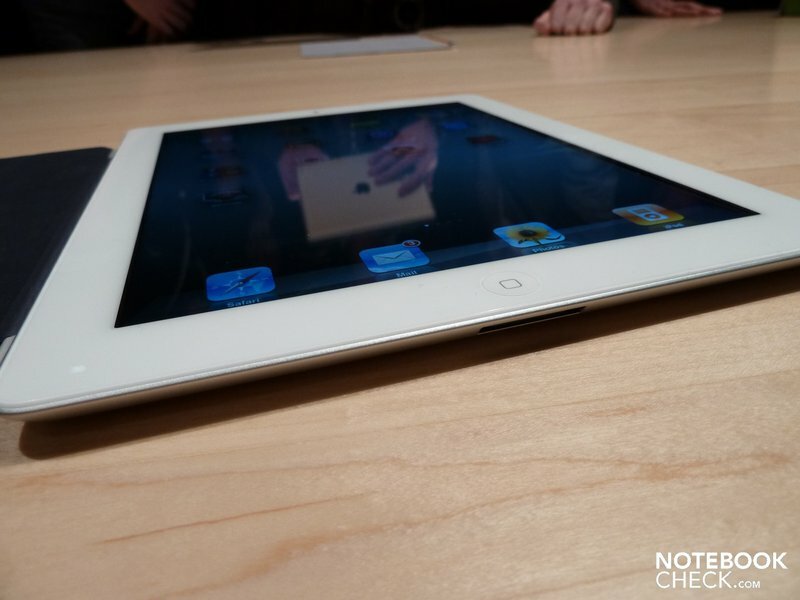 We’ll have to wait until we run a stress test on the iPad 2 to verify these claims, but keep in mind that the original iPad performed close to Apple’s expectations even under stress. 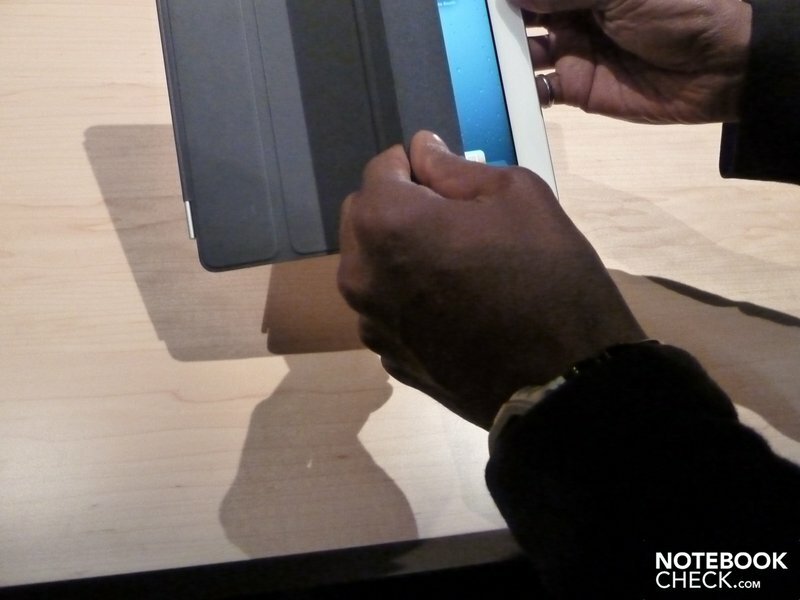 One completely new feature that Apple announced today is the crafty “Smart Covers”. The covers come in a variety of colors and in two different choices of material (polyurethane or leather). 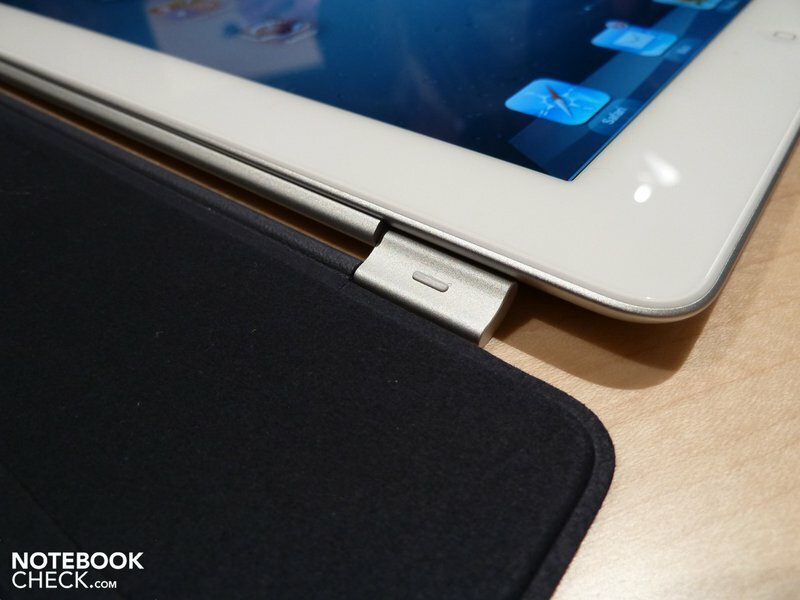 As far as their functionality, the covers attach via a magnetic hinge and automatically align themselves. 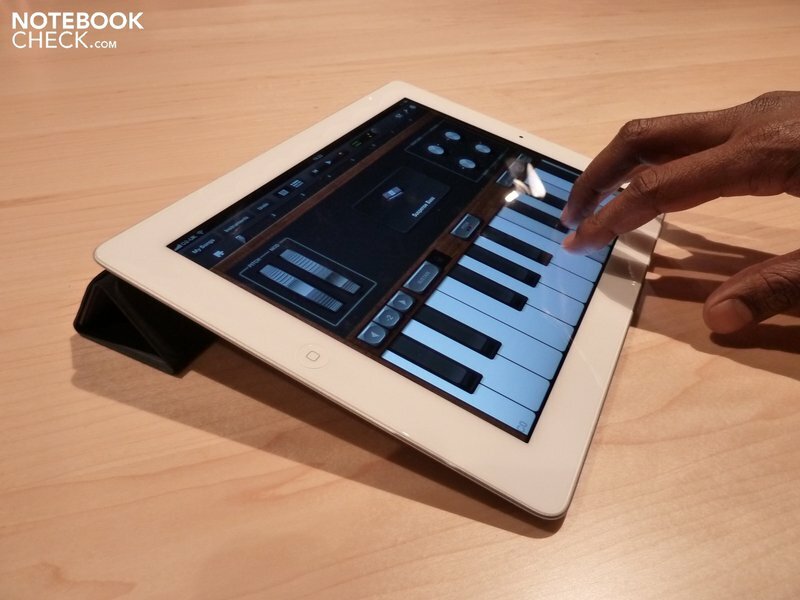 They can be used as a normal cover (display protection) or as a stand to hold the iPad upright. As far as the magnets are concerned, they’re not only on the hinges but appear to be all around the display to ensure a tight hold. One very cool feature about the covers is that they are able to sense if they are being opened or closed and act accordingly. As a result, if you try and open the cover the iPad automatically wakes up, and if you close the cover the iPad will automatically go into standby. 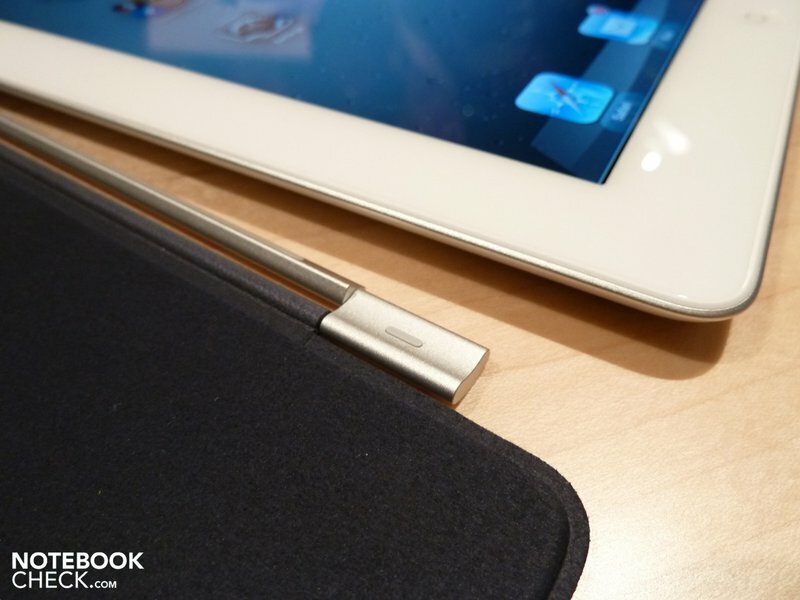 And while we would have preferred for the Smart Covers to ship with the tablet, they remain a neat accessory and are probably well worth the $39 ($69 for the leather version). 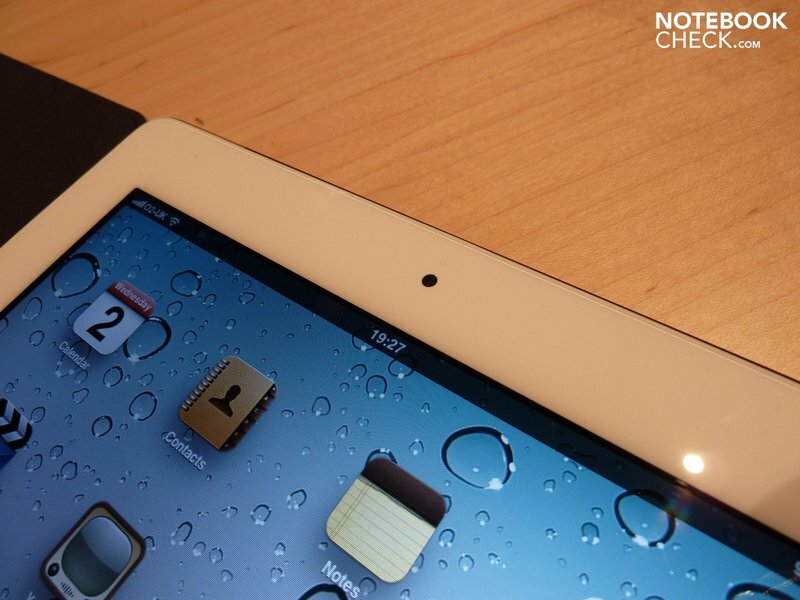 From our first experiences with the iPad 2 it is definitely a quality device. The look and feel are superb and the device fits easily in one hand. As if that wasn’t enough, a speedy device got even speedier thanks to the powerful A5 processor. Add on to that the same price tag as the original iPad, and we’re left to wonder whether any Honeycomb tablets will be able to put up a fight.